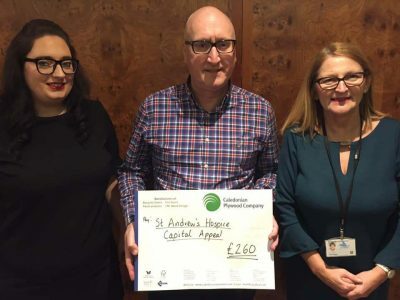 This year at our head office instead of giving each other christmas cards we instead collected money for St Andrews Hospice. We raised £260 for them as our local hospice and are happy to support such a worthwhile cause. 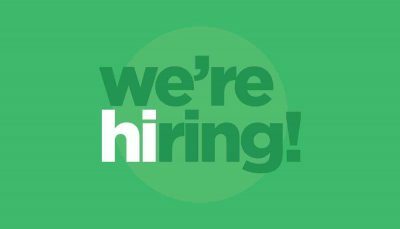 We are looking for a Sales Administrator to join our team in our Uddingston office. The Sales administrator plays a key administrative role in supporting the sales team and provides an important link between the salesperson and the external customers. You would be facilitating sales-related paperwork and be the initial Sales team member to answer the telephone and direct the calls. This includes recording verbal orders and enquiries on behalf of the Sales Department, while satisfactorily deal with any sales enquires and respond to enquiries and concerns by phone, electronically or in person. You would be the main point of contact for customer queries. We need someone who can work in a fast paced environment while being a good team player and also able to work independently. You must have excellent communication skills including a clear and confident telephone manner. it is essential you are proficient in IT skills with a working knowledge of Microsoft Office programs, internet and email. Salary is dependent on experience and we have an immediate start available. We have an excellent opportunity in our Manufacturing division for a Sales Order Processor based in our Leeds office, which is part of our Fire Door manufacturing department. This is a perfect opportunity for someone who has experience in this environment or similar but is now looking to further develop their career.